Why Bother With Reskinning Games? You might ask why bother with reskinning an app. After all not many people seem to be doing it, although the word is certainly starting to spread. When I was first introduced to the concept my immediate concern was that it seemed not to be adding any real value to the Apple app store. Now to me there is a fundamental difference here. 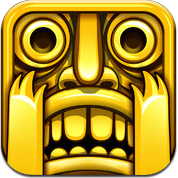 For example, think about the hugely popular game Temple Run by Imangi Studios LLC. This game came out and that long after a developer by the name of Anton Sinelnikov uploaded an app clone called Temple Jump. Believe it or not but at one point Temple Jump hit the number one spot in the app store! But then Apple swooped in and removed it along with 58 other apps including his Plants vs Zombies clone called Plants vs Zombie (I kid you not) and his Angry birds clone Angry Ninja birds. Didn’t Anton just create a skin for Temple run? In other words, didn’t he just custom skin the app and make it a new upload? No, we are talking different things here. In this case, Anton did not have access to the original games source code, so created what he thought was a very good likeness of the game and uploaded that to the app store. So he did not really follow the full process of reskinning the game, rather he just pretty well copied the entire game so it was an identical clone and make the name sound close to the original and attempted to “cash in” on the success of the original game. In other words he just flat out copied the game and tried to pass it off as his own. This is completely different to the process of making an iphone app skinnable where you a) Have permission to use the existing source code and b) Create an entire new theme for the game with different graphics, sound and music. See the difference? What Anton is doing is really just trying to scam people by tricking them to think they are downloading the real and popular game. Reskinning games on the other hand is the process of completely swapping out the images, sounds and music. In other words creating an entire new theme for the game. 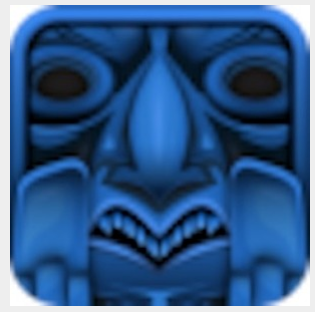 You can see why the Temple Run authors got upset. And subsequently why Apple removed his games from the app store. Anton was just flat out copying their game without permission and attempting to cash in on the success of their name. Don’t try and do that! Just by changing out the graphics, sounds and music you are making a huge difference to the game you started with and you are not trying to fool anyone else in the process. Seems to me to be a smart idea. Make sure you take the time to do it properly though. Create new graphics for the game, find a reputable person or company to help you with the reskinning if you do not have the technical skills. If you have the graphics already the process to reskin an app in xCode (the program most developers use to put together an IOS App) is definitely a learnable skill, but not for the fainthearted. e.g. You are not going to pick it up overnight but thats to be expected with any new skill you learn. And while generally reskinning an app does not involve changing the core gameplay or functionality of the app, there is nothing stopping from you from being smart and adding some new monetization to the game. Games actually feel like new games with after they have been reskinned. Thats the beauty of this approach and you are not upsetting anyone because you have permission to do this when you purchased the source code for the app. Depending on your budget, just adding ads like Apple’s own iAds, or mobile game downloads from services like RevMob and Chartboost can help pay for this. Of course some of the more expensive games you can purchase the source for already has some of this monetization embedded in the code already. Make sure you take the time to see what is included with the code. Bottom line: Reskinning apps is very much a viable business model these days. If you are serious about cracking it big in the app store, this could be your best bet. Just don’t make the mistake I did with my first attempt at success in the app store.